Melbourne lies in stark contrast to Sydney’s beach-bronzed tans and surf-chiseled bodies. This city has a sophisticated, professional vibe that caters to a different crowd of Australians – a crowd that, among other things, doesn’t mind the less-than-Australian weather that sometimes washes over the city! The Midsumma Gay and Lesbian Festival takes advantage of the warmer months every January and February, with art events, a street parade and a ball. Southeast of the CBD, you’ll find the gays in South Yarra and Prahran. Rainbow flags outnumber Aussie ones, and every other couple is two boys arm in arm. There are blocks and blocks of gay-owned restaurants and businesses. Bookshops have extensive collections of LGBT media. St. Kilda’s is Melbourne’s working-class beach town with an impressive lesbian scene. The city plays host to the annual gay Pride March, which starts at Lakeside Drive and heads down Fitzroy Street to the Catani Gardens. A haven for the bohemian and artsy, a trip to the popular LGBT neighborhood is never a disappointment. 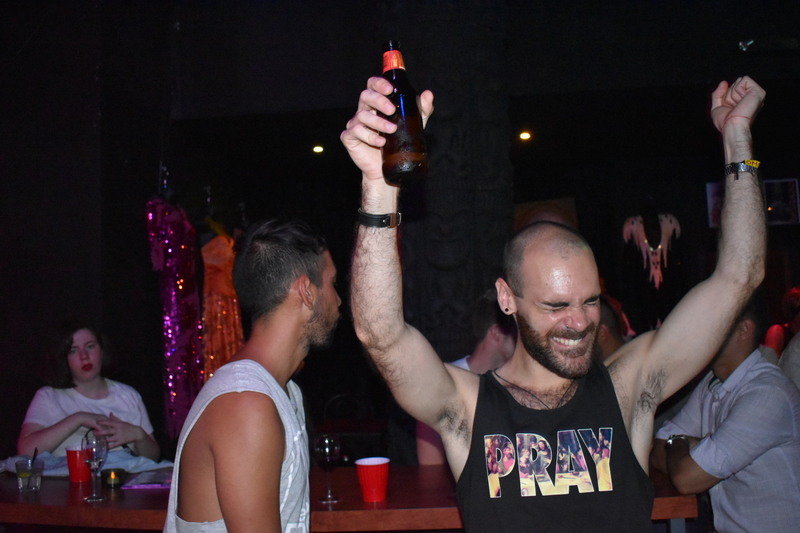 While the best of gay pubs are in Fitzroy and St. Kilda’s, South Yarra and Prahran are the entirety of Melbourne’s gay club scene. Any given weekend, club-goers need only pick a rainbow-clad door to find sweaty action. Bar 362 is a great place for a cocktail, and don’t miss the insane Drag Bingo at the Greyhound Hotel. Get lost upstairs at Sircuit, or get found at the Laird, the local men-only leather den. The Market caters to a more upscale and mixed crowd, seeking pumping house and dance music. The Xchange is recently renovated, with a show room for elaborate drag performances and a dance floor. Or drink until 5am on Friday and Saturday night at the debaucherous Heaven’s Door!